Christina McDonald was named the senior ambassador at the 2017 New Jersey State Agricultural Convention. From left: State Board of Agriculture President Santo Maccherone, New Jersey Senate President Stephen M. Sweeney, McDonald and New Jersey State Department of Agriculture Assistant Secretary of Agriculture Monique Purcell. 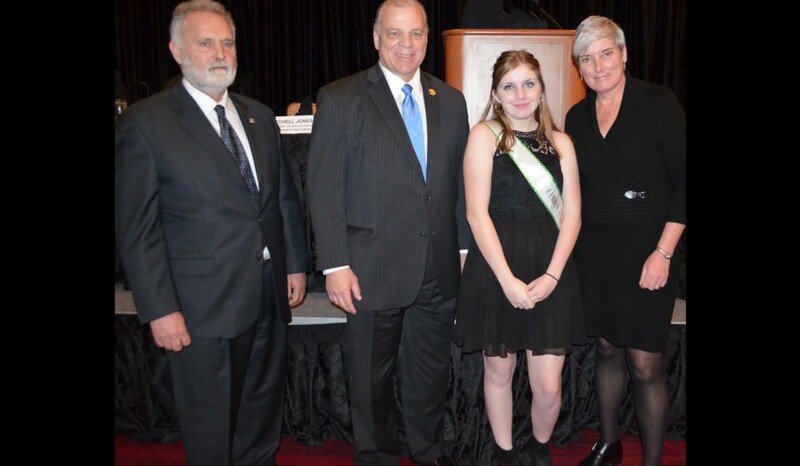 Christina McDonald of Sicklerville was named the 2017 Camden County 4-H Senior Ambassador at the 2017 New Jersey State Agricultural Convention held at Harrah’s Resort and Waterfront Conference Center in Atlantic City. Ambassadors are 4‑H member representatives of the 4‑H program. They speak on behalf of the larger membership whose purpose is to promote 4‑H to youth, parents, potential leaders, donors, and the general public.